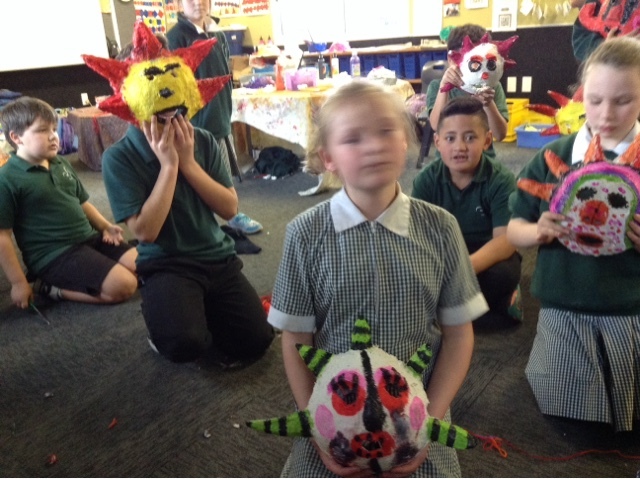 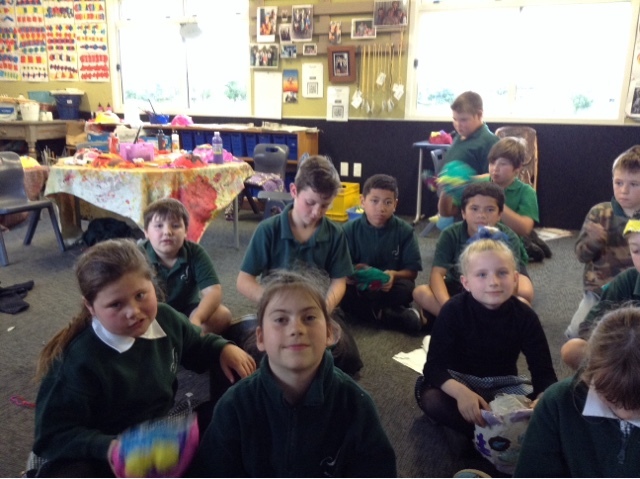 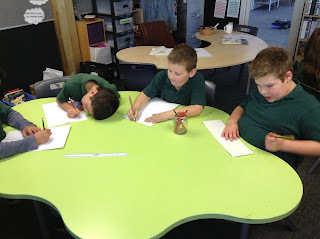 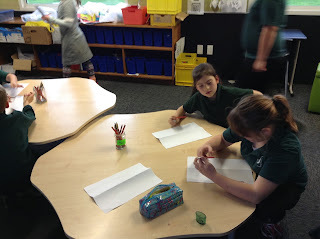 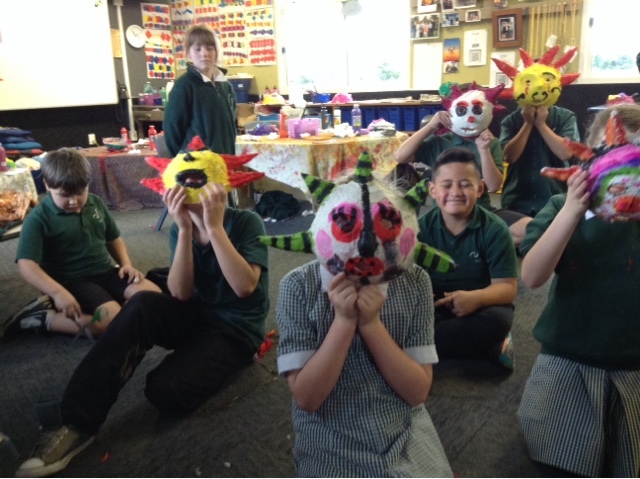 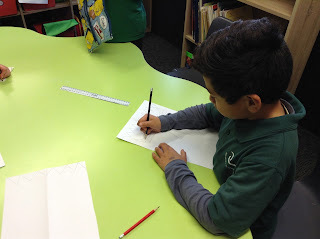 OMDuring term 3, koru 3 will be looking at making masks to tie in with our provocations of "My Voice is Powerful" ( exploring the arts in our world as a way to express ourselves and the different roles, responsibilities and contributions that people make to their community/ societies). 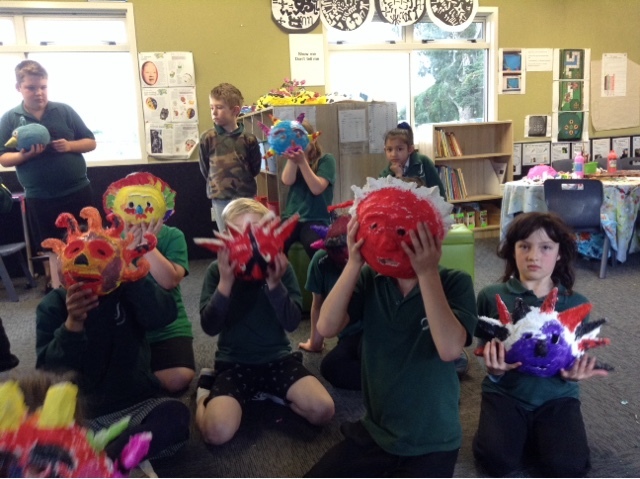 Also ,'How Stuff Works" ( Investigate How Physical and Material phenomena can change: clay being fired is an irreversible change).Lastly, Looking Back to Look forward (N.Z is made of different cultures who have their own stories,traditions,celebrations that are important to them ...and their use of masks in these celebrations. 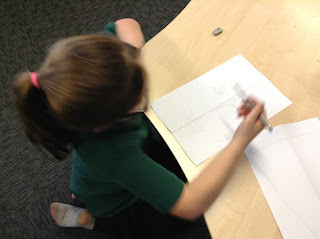 So , as a start we searched youtube and loaded some 'How to make..' clips onto our Seesaw blog for viewing. 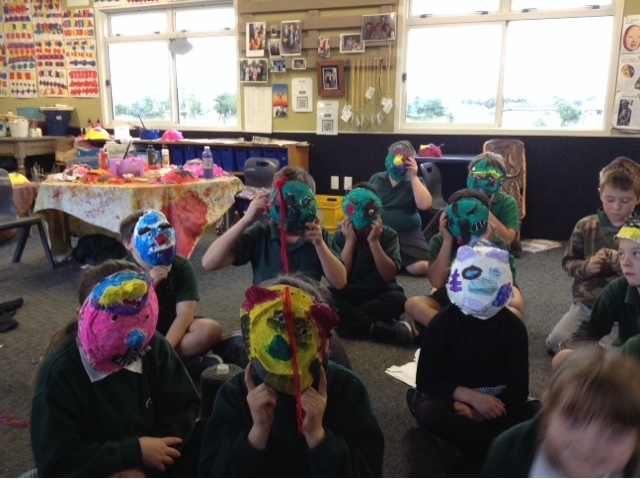 We located paper mache and clay masks, as projects that looked the most interesting. Then we started to make a paper template from which we could trace our African design onto our clay....stay tuned! 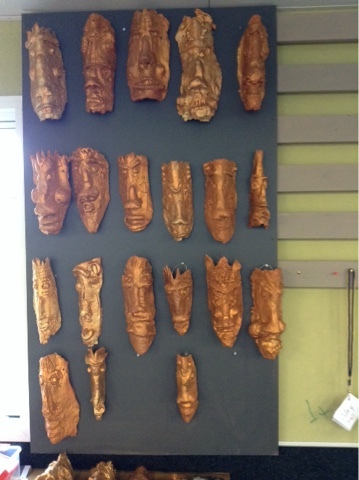 Some of our almost finished clay African masks which are now ready for firing in our kiln and painting? 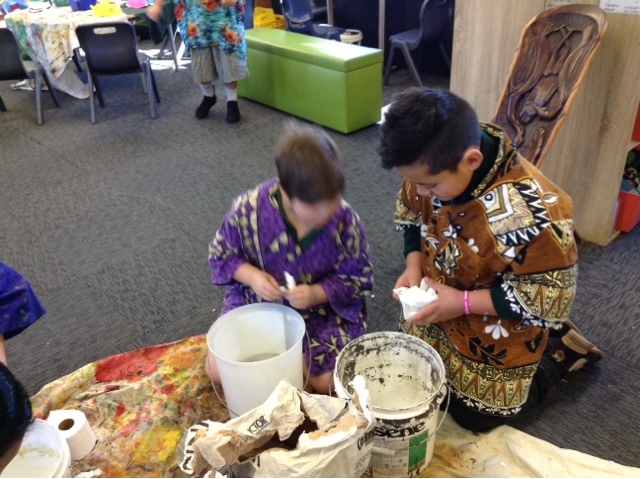 Some of the skills we had to learn were how to rough up both surfaces and apply slip so when our worked dried bits didn't fall off! 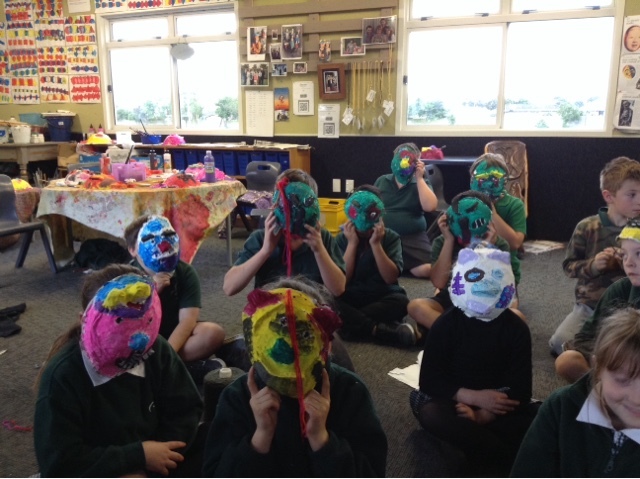 The start of koru's 3rd mask...we are on a roll.This one was planned using 4 sketches and then picking the one we liked the most. 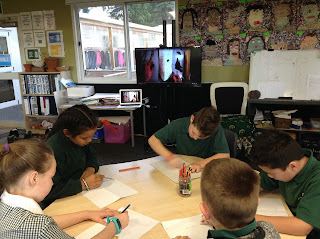 We then looked at a Youtube clip and replicated the the following recipe ( more or less, that's how Mr.B cooks as well, close enough is good enough!). 1x roll toilet paper shredded, 1/4 oil (linseed), 1/4 flour, 1 cup plaster of paris, salt and 1/4 cup PVA glue. 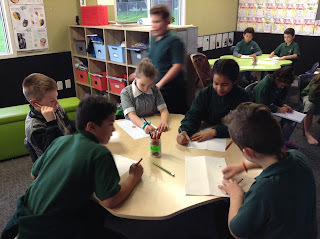 We moulded this brew over a cone covered with a plastic bag ( you can teach an old dog new tricks) and then smoothed and shaped it according to the outline on our cardboard. 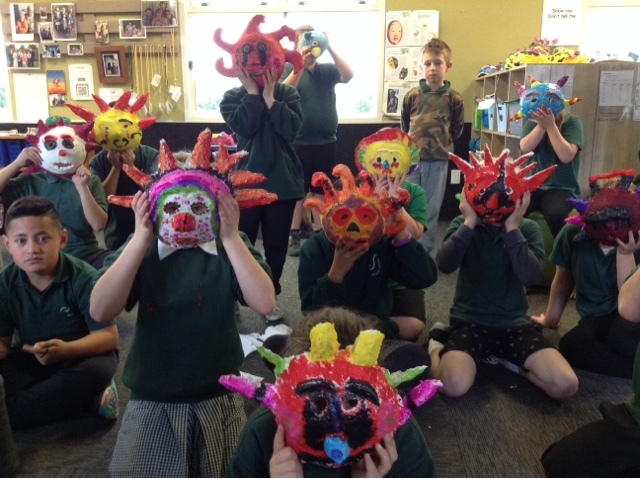 Finally, we are getting close to finishing these masks.The paper mache mix took quite a while to dry and we had a few bits and pieces fall off but...it's all a learning experience.I think we are appall quite chuffed with the clays masks and a bit so so with the others( live and learn).